In spite of the progressive medical science and availability of advanced treatments, cancer remains one of the deadliest diseases. As reported by World Health Organisation (WHO), more than 1 million new cases are reported in India while about 6.8 lakh people die due to cancer in India every year. Leukemia, a form of blood cancer is a major contributor to these cancer deaths. What is sad is that the high costs of blood cancer treatment in India prevents many from getting adequate medical help, and is thus contributing towards the high death rate. The global cancer death tolls have reached 8.8 million, out of which, India has unfortunately managed to retain its position as the largest contributor with the number of cancer deaths falling at 2.2 million per year. According to doctors, this is primarily many patients withdraw untimely from the treatment, others consult doctors only at the terminal stage. The reason that drives this behaviour is unaffordability of blood cancer treatment. Why leukemia treatment costs are skyrocketing? The main reason is the staggeringly high cost of equipment and setting up a cancer hospital: doctors estimate a 100-bed cancer speciality hospital would need an investment of up to Rs 100 crore, excluding the cost of land in most cases. Most drugs required to treat leukemia are patented by developed nations and have to be imported. Availability of generic drugs to treat cancer is rare and unpredictable. 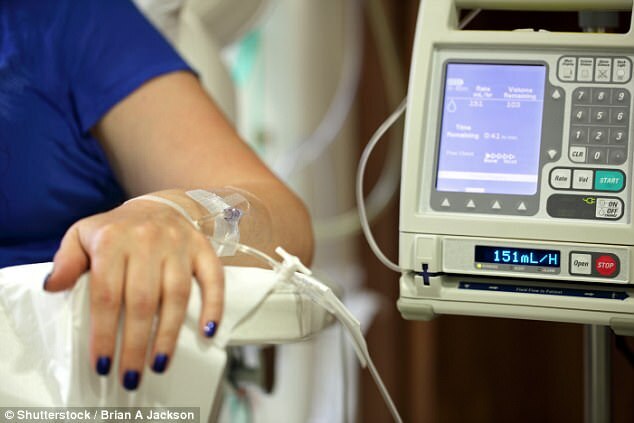 Chemotherapy or targeted drug therapy can cost up to four to five lakhs. Some targeted drugs like Erbitux, Avastin costs one lakh per session and cancer patients need to undergo at least 8-11 sessions of these drugs. Moreover, blood cancer care can get hugely expensive if it is detected late, or has reached an advanced stage. The last resort to the cure in such a situation is bone marrow transplant. The cost of this bone marrowtransplant surgery is Rs. 20-25 lakhs. While the incidence of cancer is rising, the methods to raise funds for blood cancer treatment stagnated for a long time. Availing personal and medical loans till date involve tedious paperwork with immense red tapism. Medical insurances too failed to make much of a difference as only a small fraction of Indians haves health insurance and those who do rarely have critical illness cover. Worse, the insurance cover that people choose is often so low that it is meaningless for diseases such as cancer as higher insurance amount will lead to the higher premium, which only a few can afford. But now, things are changing. The emergence of crowdfunding platforms has been a blessing to thousands of patients fighting with life threatening diseases like leukemia. Crowdfunding is an alternative method of fundraising. It lets you use the power of the internet to raise funds for your expensive medical treatments. All you need to do is create a campaign online on a crowdfunding platform, use various social media sites to share it as widely as possible. Donations will come from your considerate social circle as well as a compassionate online community of donors, via payment gateways set up by these platforms for secured online transactions. In turbulent times, when you or your loved one is fighting a fierce battle for survival, there is hardly any time at your disposal for indulging in hassles of availing loans. Plus, there are high chances that you have already trapped in debt so much so that the possibility of getting further credit approval from bank will be minimum. It will be wiser to get the hang of how crowdfunding works and get started without wasting time further. Time is precious when it comes to blood cancer treatment. The earlier you start, the higher are chances of survival. So, what are you waiting for, start a fundraiser today for your or your beloved’s treatment. Spread the world. Let the world know that the face of fundraising for leukemia treatment is changing. Crowdfunding has made this possible.